TALENT. It's the single most important asset in any company. The ability to recruit, develop and retain talent can be the difference between success and failure, winning business and falling behind the competition. 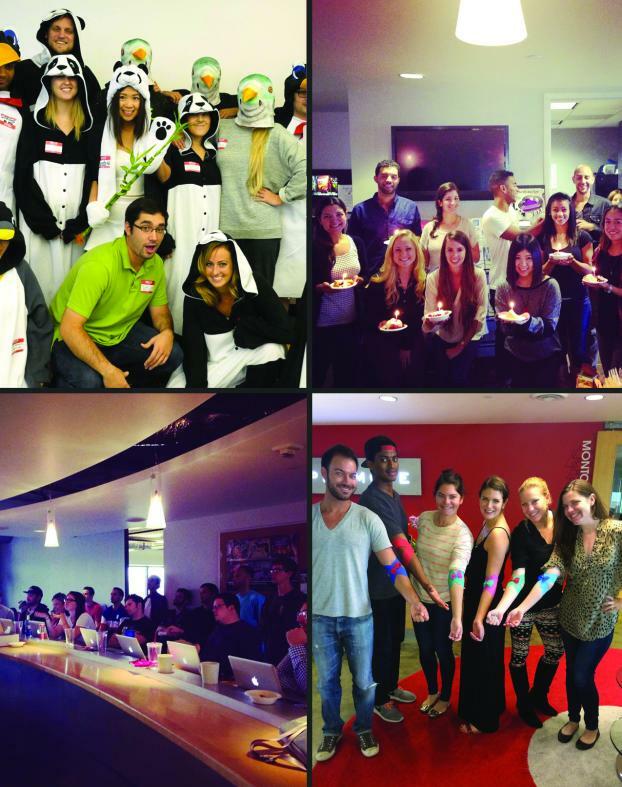 This year we set out to identify the best places to work in advertising, ad tech and media. We searched for companies that do an exemplary job of crafting cultures that attract, foster and reward the best minds in our industry. We looked at compensation, benefits packages and hiring practices, as well as work-life balance. Special perks, such as subsidized meals, gym access and transportation reimbursement, were also considered. But we wanted to hear directly from employees, so we surveyed more than 20,000 people to find out, in essence, how they feel when they walk through the door and sit down at their desks day after day. 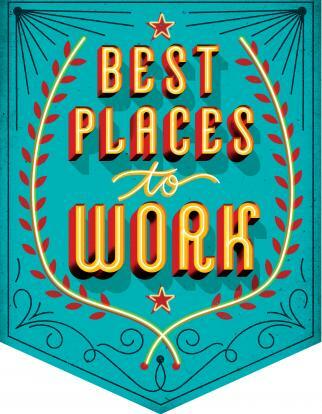 The 40 companies on our list stood out—read on to find out why they're the best places to work in the industry. New York-based Buck Consultants, which has nearly a century of experience in human-resource consulting, crafted two surveys. Employee surveys, which had 50 questions, accounted for 60% of a company's score, while the 100-question employer survey accounted for 40% of the score. Any agency, ad-tech or media company with more than 40 full-time employees in the U.S. was eligible. Not long after Shawn Riegsecker received an interview request for this story, the Centro CEO sent over a memo written by former Bear Stearns CEO Alan "Ace" Greenberg with this highlighted sentence: "If somebody with an MBA degree applies for a job, we will certainly not hold it against them." He followed with an email saying he's equally happy to hire from community colleges as he is from Ivy League schools. "We don't spend any time thinking about what schools we like to recruit from," he said. "What matters most is a person's heart, work ethic, imagination, intellectual curiosity, critical thinking, desire to win and genuine concern for others." 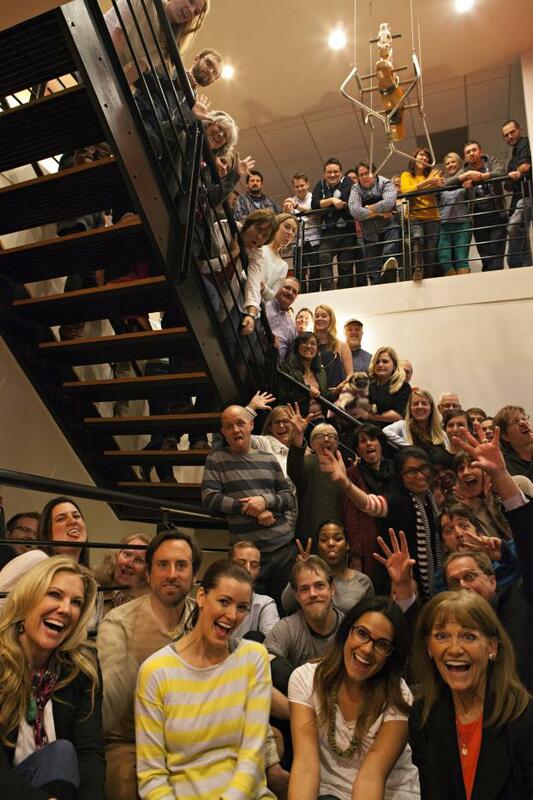 If you're wondering why Centro tops Ad Age's list of Best Places to Work, this is a good place to start. What matters here is who you are, not the title and qualifications you carry. Ideas at Centro don't only come from those on the top rungs of the ladder. "We focus a lot more on who the person is, not what they've done," said Mr. Riegsecker. Mr. Riegsecker founded Centro in 2001, ancient history for an ad-tech company. The company is headquartered in Chicago but has fanned out to more than 30 other cities, including New York, Dallas, Los Angeles and Toronto. Just what does Centro do? Ad tech gets convoluted fast, so let's just say Centro offers software to make the lives of media buyers and planners easier. 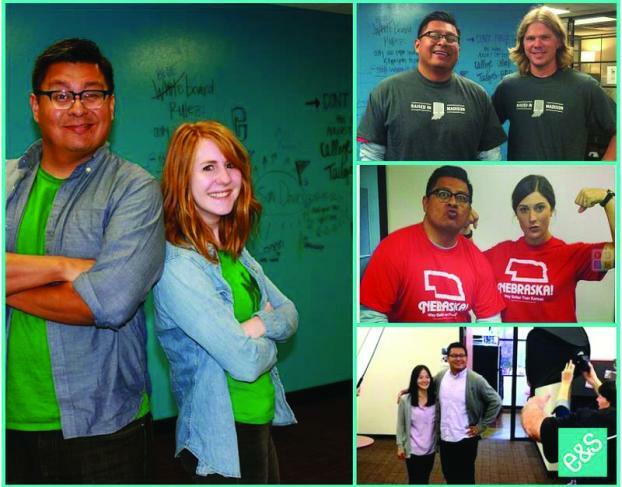 One of the things that makes Centro special is its dedication to building the right culture. It does this in part by evaluating its employees using a four-quadrant box with "character" and "skills" making up the x and y axes. When someone has the right character and the right skills, it's a clear win. When he or she has the wrong character and the wrong skills, that person is likely a goner. Easy enough. Now, here's where Centro tries to differentiate itself: When someone has the right skills and wrong character—a superstar who sells like crazy but doesn't treat people well, for example—Centro boots him or her. 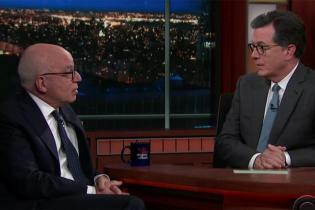 "If you've got the wrong character, I don't care how good your skills are, you will not be in this company for any period of time," Mr. Riegsecker said. And when someone has the right character but wrong skills, instead of canning him or her, Centro tries to develop that person. These are tough moves to make and can cost short-term productivity (think of losing the sales rep's deals) in exchange for long-term gain. There are also lots of great perks, including a three-week paid sabbatical after you put in four years, twice-weekly yoga and 10 "Ferris Bueller Days" on top of vacation, when you can wake up and decide not to go into the office, no questions asked. "I had worked for a lot of companies that I kept looking up at senior management and going, 'Guys, what's wrong with you?'" Mr. Riegsecker said, explaining why building the right culture is so important to him. He said he's terrified of a typical office situation, where people come in with enthusiasm and then fade in six months. "Next thing you know, you're taking smoke breaks three times a day and you don't even smoke," he said. Getting culture right takes time and a lot of work, Mr. Riegsecker acknowledged. "We really spend a lot of time on making sure we implement the framework so people aren't complaining," he said. It's working. When asked in our survey what Centro could improve, a number of employees drew blanks. "Honestly in the three minutes I've been thinking about this question, there isn't much I would change!" wrote one Centro employee. "At the moment I can't think of one thing that would make this place better," wrote another. In fairness, one employee did have a grumble: Wishing the office were closer to home. 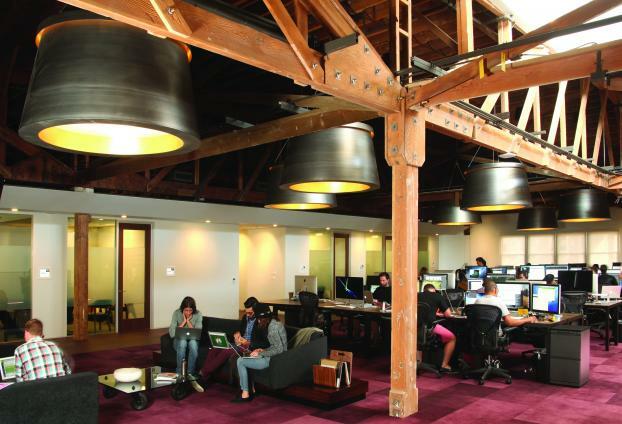 Ad-tech companies' offices are supposed to resemble the workplace in the film "Office Space." They should be full of cubicles. And they definitely don't have a massage room. Wpromote eschews the stereotype, including the cubicles. The performance-marketing firm started in its founder's dorm room 13 years ago, so it's perhaps not surprising that its workplace has more similarities to a college dormitory than a corporate office. The company has an open floor plan, making the workspace effectively a 30,000-square-foot common area, with the requisite foosball table. "I never had a job, so I had no preset notions of the way I was supposed to do things," said Wpromote CEO and founder Michael Mothner. "I realized that culture is not writing a mission statement on a wall." Wpromote's office is designed so that people can be at the office without feeling like they're at work. For example, the yoga classes offered three times a week give employees a break to avert burnout. Conceivably, the fully stocked bar provides similar benefits. There's also a lounge for staffers to mingle with colleagues in other departments. Maybe they will put their jobs on pause and discuss their personal lives; or maybe they'll see something among the work-related success stories posted to the 24-foot "brag wall" that will inspire a breakthrough. And if inspiration does strike during downtime, ideas can be outlined on office walls that double as whiteboards. Wpromote's office has fostered a culture that Human Resources Director Joanne Coghill described as "work hard, play harder." It's a collegial -- and collegiate -- culture in which the perks are less important than the productivity they foster. Before even stepping foot in TM Advertising's Dallas office, one can identify its dog lovers, bikers, runners and even carpenters using search filters featured prominently on the agency's website. That the agency highlights non-work-related information about its employees speaks volumes about how the agency values staffers and their personal lives. That mindset guides what amenities are provided. "I've worked in a lot of agencies, and some have their priorities wrong," said TM's CEO, Becca Weigman. She noted that some shops tout free vending machines and snacks, but when their employees are working long hours that's not nearly enough. "When people work 80 hours a week, you're only going to give them a vending machine? It's absurd if you think about it. If the office is really where they spend so much time, it should be livable." As part of Interpublic, TM offers the holding company's competitive benefits and paid time-off packages, but it also offers professional-development opportunities, free food, bikes, paid parking, summer hours, birthdays off and even tools of encouragement for fitness. Ms. Weigman said that as part of an initiative called "Beautiful You" the agency gave all employees a FitBit, which ultimately resulted in several employees losing weight and paying better attention to exercise and lifestyle improvement. Many employees lauded the benefits and work environment as the best perks at TM. 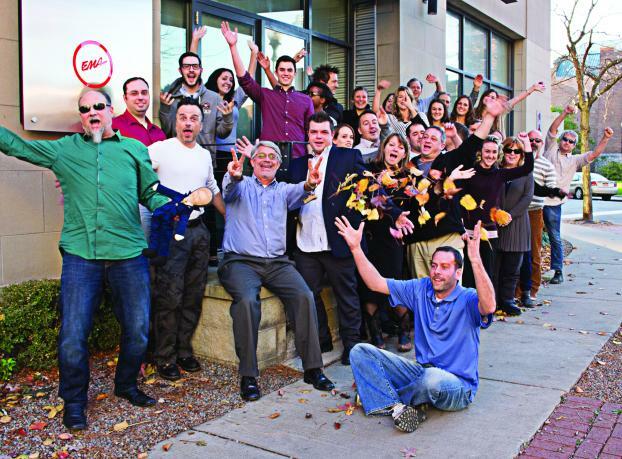 One employee cited as the three biggest positives at the agency "laid back, energizing work environment; flexible scheduling and time off; and encouraging management and colleagues." Ms. Weigman said when employees do take time off, it is sacrosanct. They are not expected to phone in for meetings and are encouraged not to check email. "It really is about the respect of that time off," she said, adding that not all agencies have that same philosophy. Nearly every respondent extolled the culture at this top digital agency. Pay and benefits were frequently listed as bright spots, too, but the enthusiasm for DigitasLBi seemed more rooted in a wide array of little things: employee awards recognizing effort and contributions; money toward things like classes, gym memberships and financial planning; cooking classes with chefs; and a generous program of paid time off. It all adds up to that rarest of things: a "genuine concern over work-life balance and ensuring that employees are happy," as one put it. This upstate New York agency has an open-door policy that allows anybody time with the president and the CEO, no appointment required. Employees said that founders and other top executives show "genuine kindness" to everybody working there, and that Dixon Schwabl takes care of its own. Every month, the agency bestows a Spouse/Partner of the Month award, and it recently gave a 20-year employee the choice between a Hawaii vacation and a cruise to Alaska. 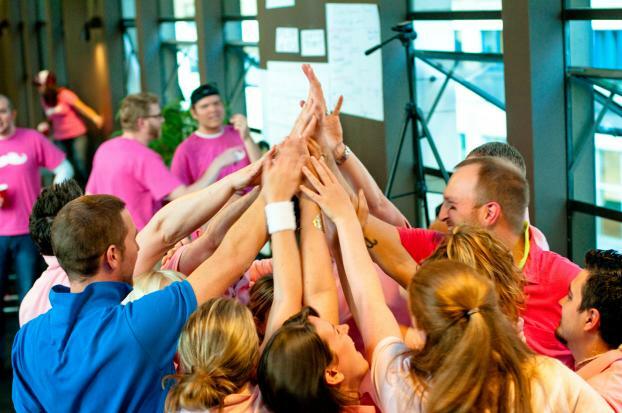 "We have five core values: respect, integrity, community, teamwork and fun," one employee said. "Our behaviors mirror our values." Employee plates at Droga5 are always full. Every Friday, two different employees host a happy hour featuring a specialty cocktail, and folks are still buzzing about National Bacon Appreciation Day. "They keep us well fed," one respondent said. The employees also raved about Droga5's new downtown digs, which house a "deeply creative" and "supportive" culture that keeps everyone feeling inspired and valued. "I have never worked in an environment where the employees' needs are just as important as the business's," one employee wrote. Portland, Maine, is a hidden gem of a city, and one of its historic buildings houses The Via Agency, a "haven" of an agency that employees say is a "truly inspiring" place to work. 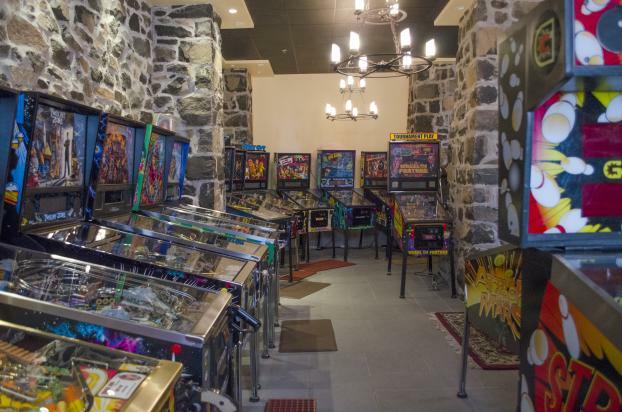 Via offers a college campus's worth of activities. From sports like golf and bocce to mental stimulations, including a salon series and TEDx tickets, employees have abundant opportunities to bond with one another. The agency nurtures off-the-clock creativity too—a new monthly "Free Beer and Fiction" series gives employees the chance to tap into their inner novelists. 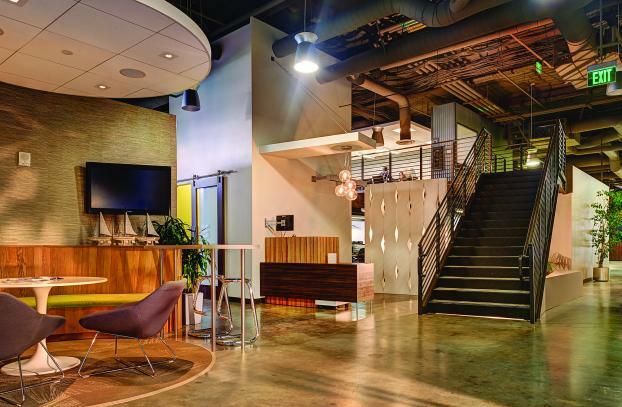 This digital-media company has offices spread out across five different time zones, but its employees say the company has managed to maintain a cohesive, "family-style culture" even in the face of recent growth. Perks like craft beer on tap and weekly catered lunches help, as do ping-pong tables and putt-putt. But more than anything, CPXi employees feel like the wind's at their back. "The positive energy that is spun into whatever we try and accomplish as a team is felt company-wide," one respondent said. The employees scattered across Eric Mower + Associates' offices know they're on the same team. "We have seven offices, but we operate as one company," one respondent said. EMA lists collaboration as one of its three founding principles, and the company practices what it preaches. Everybody, it seems, works together and gives back, both on and off the clock. Twenty percent of EMA's employees serve on non-profit boards, and each office embraces a day of giving. "I feel like I have a purpose when I come to work every day," another respondent said. 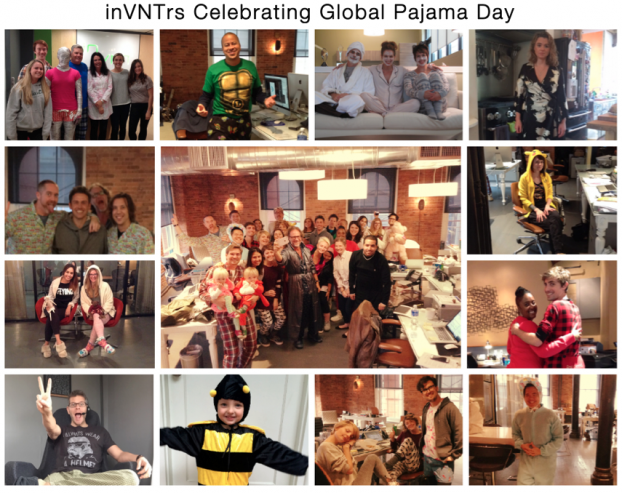 This six-year-old startup makes a point of showing how much faith it has in its "inVNTrs." InVNT has an unlimited leave policy, and it allows people to work off-site whenever and wherever they want. That faith extends to its employees' personal drive for self-improvement. 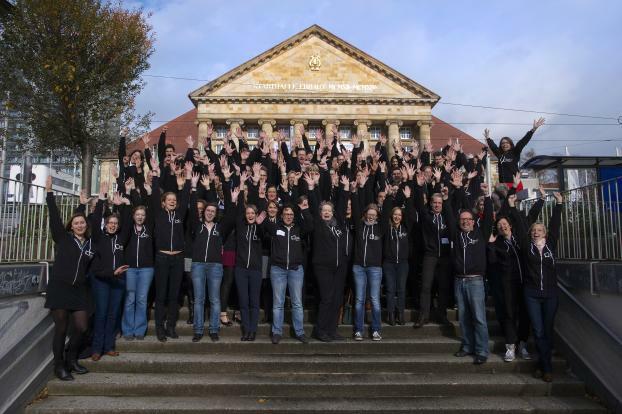 InVNT foots the bill for its employees' conferences, classes, lectures and any other activities meant to help them learn and grow. "I have never felt a greater interest by those around me in my personal well-being and overall happiness," said one staffer. Pride that people take in their work is what many employees say makes this social-data-focused tech company such a great place. "You don't stress out about the small things because you are too focused on getting better," said one staff member. Teamwork is key here, with employees citing "great people" and "collaboration" as the best parts of the company. "I feel like I work with my friends," one staffer noted. Employees can stay comfy (or fit) at work with ergonomic chairs and bicycle desks. Team dinners and happy hours make work more enjoyable. At this digital-marketing and ad agency, employees enjoy the Manhattan skyline from their New Jersey headquarters—a 100-year-old converted schoolhouse. But staff members say the "coworker atmosphere" and "great people" are what really makes them want to come to work every day. "DX is a family, plain and simple," said one worker. Employees are encouraged to talk face-to-face rather than just via email, which helps make the staff close. Free-food Fridays and clean, high-tech office space are just a few of the perks workers enjoy. The generous time-off policy at this digital marketing agency is one of the biggest reasons why employees love working here. "The flex time and benefits are huge for me as someone who has a toddler at home," said one worker. Employees say they are trusted to take time off when needed. Besides work-life balance, staff members say the supportive culture helps create a positive environment for development where encouragement and constructive feedback help employees learn and grow. One example: Each member of the executive leadership team earmarks two to four lunches per month for employees who would like mentoring. The regard this digital-marketing agency has for employees is what makes its workers so appreciative. With unlimited paid time off and a work-from-home option, employees can have a work-life balance. "The unlimited PTO policy isn't just lip service," one staff member said. "It is supported and really helpful in balancing my work and home life." Additionally, workers describe senior management as transparent and approachable, and the teamwork is "outstanding." "Not one department goes unnoticed for work efforts and we celebrate our victories as a team," said one employee. It doesn't matter who you are or how long you've been at this digital agency, employees say the company wants to know your dreams and goals. "Anyone, on any level of 'importance,' can make time to talk to me about my career goals," said one worker. "No one is too big for their britches." Every employee gets an iPad and the agency offers a mind, body and soul wellness program in which employees can spend $600 per year to take care of themselves. Many employees cite the dog-friendly environment as one of the best things about the company. Another perk includes a bar onsite where workers can unwind with beer or wine. 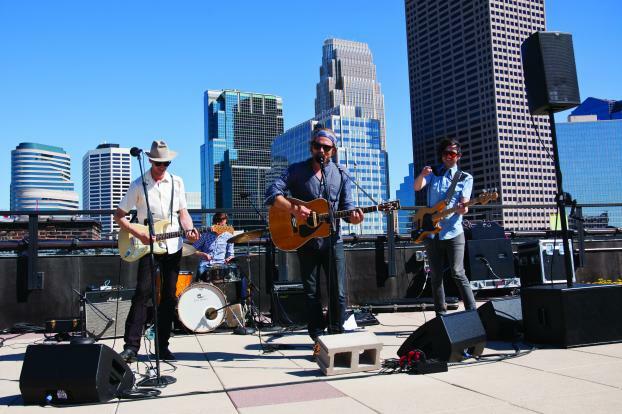 Creativity is prioritized at this Minnesota advertising agency, where rooftop concerts are just one of the benefits employees say contribute to the fun atmosphere. The shop is big on company culture—the words collaborative, respectful and "family-like" came up often—and a recent remodel tore down office walls and got rid of doors. Making the workforce more diverse and environment more inclusive have also been some of the company's main goals, and its progress has been recognized within parent company Interpublic and the broader industry. "This is my first full-time job out of college, and I get the impression that everyone here wants me to grow and improve as a creative," said one young staffer. 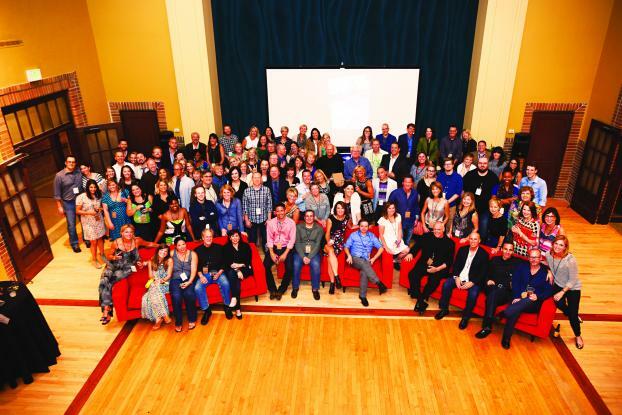 This ad agency's office in the heart of Boulder is one of the main reasons employees love working here. "No one has an office, everyone sits together, and you can always find a few dogs running around," said one staffer, adding that the space resembles a warehouse. But the people inside that office are more important. Employees say senior management values staff members' contributions and feedback, and workers feel like they are appreciated and are making a difference. The company says it gives every worker a chance to take swings above his or her professional weight. One employee described UM as having "the resources of a big company with the attitude of a small one," and that sentiment seems present throughout the workforce at this media-agency group. Many staff members cite "the people" as one of the best parts of working at this company, where learning opportunities from fellow co-workers and a great leadership team are important. "People are collaborative, supportive and genuinely care about fellow co-workers," said one employee. The company has an open-office concept to encourage collaboration and communication as well as private mommy rooms, "Zen Dens" and an extended winter holiday. 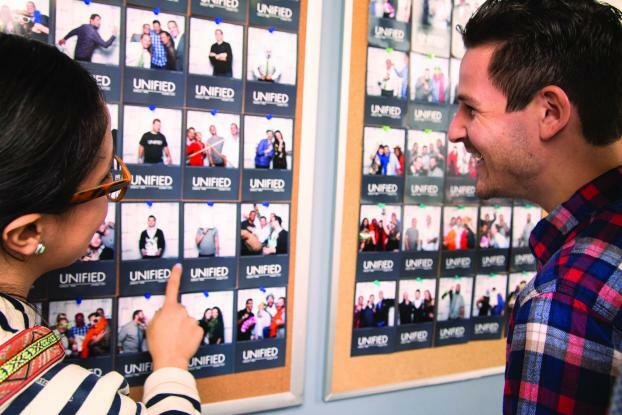 At this shopper-marketing agency, staff members say the people they work with are as important as the work they produce. 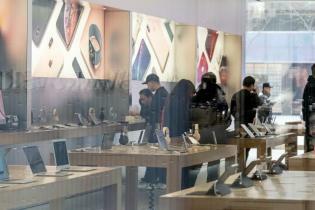 "Our well-being and happiness are always taken into consideration," one employee said. "We are acknowledged and compensated for our hard work." The pet-friendly agency gives out two monthly awards to encourage teamwork and collaboration, and many employees say the work itself is what makes the job satisfying. "Credibility in the industry" and the "legacy of success" at Saatchi & Saatchi X are just a few of the reasons why employees enjoy working here. Risk-taking is praised at this marketing and advertising agency—and employees are thankful for it. "We are encouraged and empowered to try and fail. It's super healthy," said one worker. "Smart" and "friendly" co-workers are a big reason why employees enjoy working at KBS, where they say hard work is acknowledged and respected. The atmosphere is described as entrepreneurial, where "career options are only limited by your imagination and ambition." "I have personally found the perfect balance and combination of being challenged and supported while working with awesome people," said one staff member. 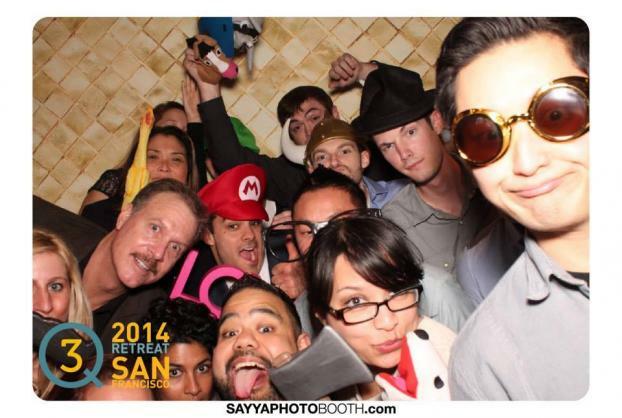 Criteo sends its employees to Paris every year for an annual company summit. You read that right: the ad-tech firm pays for employees to go to France. That's quite a perk. And it's not the only reason employees say they like working at Criteo, a publicly traded company that serves targeted display ads to consumers. There is also its people, flexible work environment and snacks. Working for a company that's profitable and posting strong revenue gains—up 72% during the most recent quarter—also offers peace of mind. Now that's an even better perk. 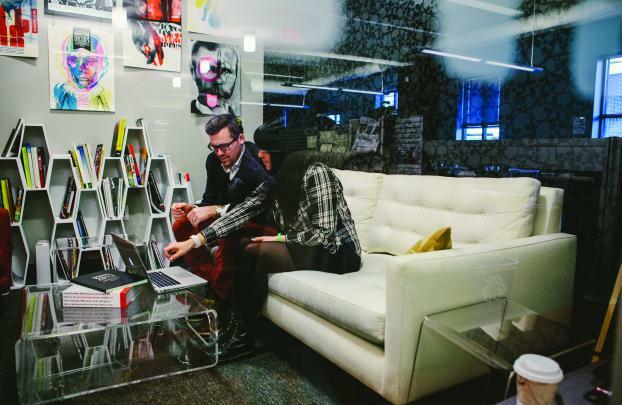 Philadelphia-based Tierney, an advertising and marketing-services agency within Interpublic Group of Cos., gives employees the perks synonymous with startup culture, like a ping-pong table and the ability to bring dogs to work. But one of the big attractions of this company, its employees say, is less tangible, even though it seems to crackle through the halls: passion. "Most importantly, we have the best employees who are creative and driven to make the best work," an employee said. 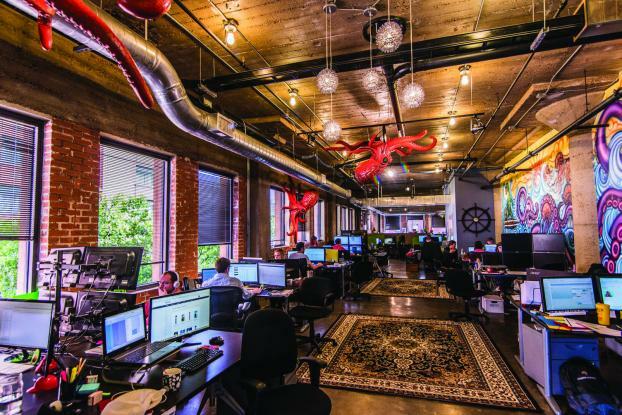 Red Door Interactive is based in San Diego and employees of this independent digital agency say they value the location. They also appreciate the work-life balance their employer affords them. "I may work 45 to 50 hours in a week, but have the flexibility in my schedule to take sufficient personal time," an employee said. And, thankfully, the work these staffers do for clients is rarely dull. "I'm not bored with my work," another employee said. 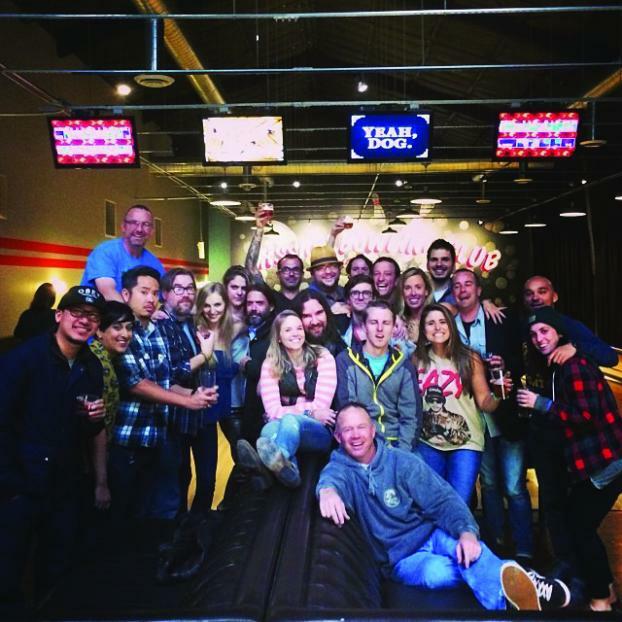 Weber Shandwick's size doesn't get in the way of fun, if the monthly lunches, happy hours, team outings and events that various staffers cite are any indication. In fact, the PR behemoth's size and global scale—more than half of its clients are shared across geographies and practice areas—creates "global immersion" opportunities for junior talent to work in offices abroad. The firm also allows individuals to customize their roles to align with their skills and passions. Employees are excited about the future of ad-tech firm SocialCode, citing "amazing growth" and "cutting-edge topics" as a few of the reasons they enjoy coming into the office. The opportunity to be innovative and advance quickly is something that these technology pioneers appreciate. 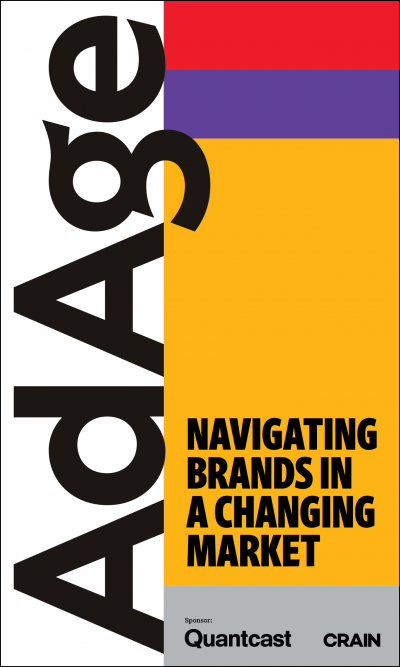 Challenging the status quo is one of the company's main values. But high tech can also be high touch. At SocialCode, meetings between people in different offices often take place over Google Hangout. True[x] aims to create efficiencies for clients through technology. But it has also cracked the code on how to treat humans. One employee lauds the "brand-new open office space, plants, dogs, core balls, couches, outdoor patio with corn hole, a BBQ, fire pit, dog run, Nerf guns, ping-pong tables, fully stocked kitchen (beer, steaks, bacon, Red Bull)," while another cites "challenging engineering problems" and "amazing people." The company also uses tech to create better experiences for its employees. Exhibit A is a system called Karma that lets a staffer award someone who has helped them. Winners can expense a $40 lunch and are entered in a drawing to win $1,000 in plane tickets each quarter. 72andSunny staffers applaud the agency's Southern California spirit and enjoy the physical space—particularly its outdoor workspace options from hammocks to picnic tables, lounge chairs and couches. Employees also praise the agency's culture, valuing the sense of community forged early on through collaboration and socializing, and a leadership team that makes itself accessible. "An admin or receptionist is welcome to all meetings," said a staffer, "[and there's] a partner breakfast just to get to know them." The fact that vacation days are not "set in stone," as many put it, is also much appreciated. Staffers at 22squared value the work-life balance established by their leadership, from the flexible work hours to the group outings and regular agency breakfasts. Bonding is also key at the agency and collaborations are encouraged and nurtured. As one employee said, "One of our key cultural mottos is, 'We're Better Together'—we mean it, and it shows in everything we do and how we do it." Employees are also incentivized by fair, some say "great," compensation and recognition from the leadership team. With $851 million in revenue in 2013, making the digital agency the 12th largest in the world, according to the Ad Age DataCenter, SapientNitro means business. But despite its high-tech and digital-marketing work with some of the biggest brands in the world and its massive operations around the globe, the shop manages to offer the flexible work hours, free beer and "egoless environment" typically enjoyed by boutiques, according to staffers. "There's never a set path to a great solution, so we encourage employees to take a new perspective, find a new angle, make something up to make it happen, even where there's risk involved," said the agency. 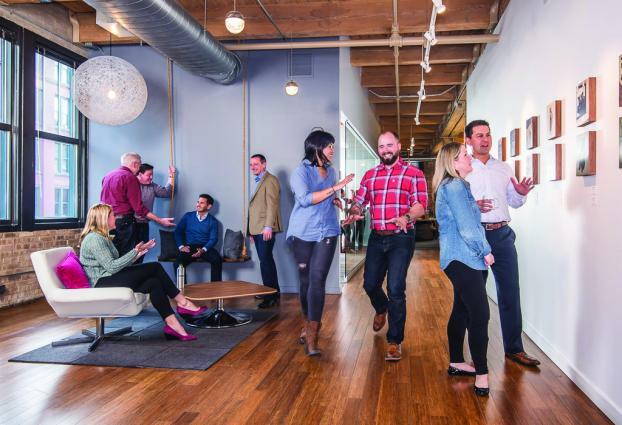 The 79 employees at this Baltimore brand agency have it good. In addition to an office with an "amazing" view of the harbor (you can kayak to work), there's a Planit Wellness team that organizes monthly initiatives to foster healthier living and a Planit Employee Appreciation team organizing everything from paintball matches to an annual chili cook-off. Oh, and on meeting days, there's an omelet bar. "This is a fun place to work," one respondent said. Throw in an emphasis on work-life balance, and you get a workplace that employees describe as "fun," "creative" and "laid back." MMC wants its employees to believe it will do a good job. Respondents described the 31-year-old firm's culture as "empowering" and "invigorating," citing an "entrepreneurial spirit" and a team structure that demands a lot but praises success even more. "I feel 100% set up for success," one employee said. There's an emphasis on relaxing once in a while, too. Team leaders are encouraged to dole out compensatory time off to employees who have earned it, and summer Fridays are a much-beloved perk. This digital-marketing agency understands that people work—and learn—best in different environments. And the Sq1 staff, which embraces the "endless learning opportunities" that the agency offers, has plenty of options. There's a cell phone-free "zen room," treadmill desks, and plenty of dogs around. There's no shortage of relaxation options, either. There are Puppy Fridays and Summer Fridays, regular yoga and the Fitness Squad, and a beer cart rolls through the office from time to time. Add it all up, and you get a workplace that employees describe as "fun, yet productive." Archer>Malmo seems intent on keeping employees up to date and in the loop. Monthly meetings led by the CEO are appreciated for their "transparency." There is heavy investment in training for employees and frequent pushes to get members of various teams to collaborate, learn and share ideas. Then the fun begins. A masseuse comes twice a month, and frequent games and activities are dreamt up by the office Culture Club, whose leaders change every year. In trying to explain the company's culture, one employee wrote, "It's unlike any I've ever experienced or even heard of." This agency operates out of a 100-year-old school building, and it's essentially torn out all the bad stuff about going to school and kept all the good stuff. Most of the walls have been knocked down to create an open feel that employees find "inspiring" and conducive to growth, and frequent field trips and events in the company gym (the former school's gymnasium) keep people thinking and dreaming big. You can even take produce out of the company's outdoor garden. 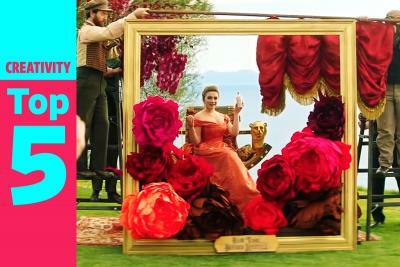 Add in strong camaraderie, and it's about as rosy as it gets. "We genuinely like each other," one respondent wrote. 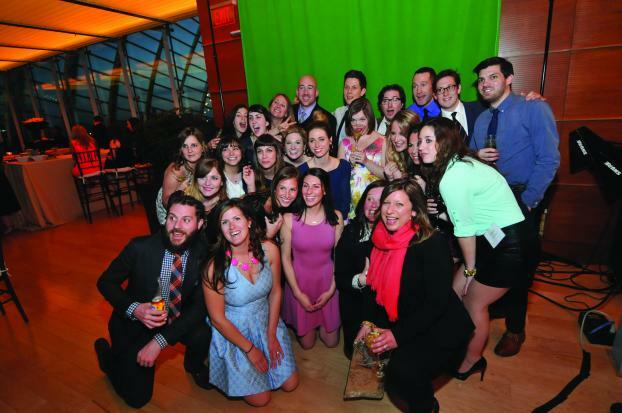 Employees at Philadelphia-based Brownstein Group love the close-knit vibe at the 50-year-old PR and ad agency. 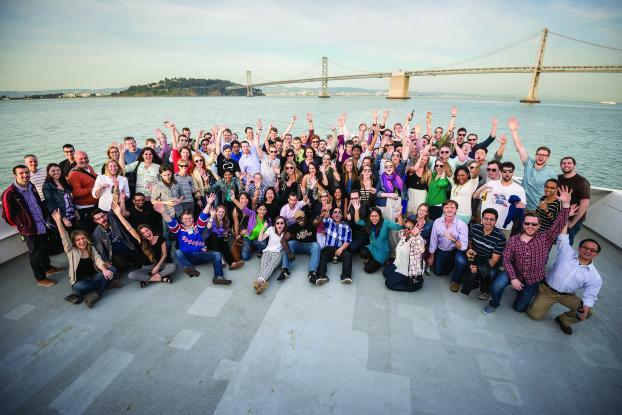 "The family-oriented culture makes us more like cousins than co-workers," said one employee. That includes unlimited paid time off, a softball team and even an annual "camp" day of food and lawn games. For the younger-at-heart family members, there is also an in-house bar, a beer-pong tournament during March Madness and free weeknight yoga. "Everyone is an incredibly hard worker, but there's a true work-life balance," said another employee. Argonaut is the kind of hip San Francisco shop that emphasizes collaboration and a flat structure. "The chief creative officer will actually clean the dishes and help out around the office," one employee said. While there are no assigned seats, there is a 3D printer and record player for the office, plus an in-house bar. Employees routinely declare deep loyalty to Argonaut, and they say they love the unlimited paid time off and what one employee called a no-tolerance policy toward "jerks or any other form of jackanapes." Taking a walk to the beach with the dog can be a workday activity for employees at Team One—even in the urban sprawl of Los Angeles. The ad agency runs a dog-friendly office on an ecological reserve in Playa Vista. Employees also particularly like the development opportunities, including a monthly speaker series, stipends for training and the fact that five employees win $5,000 for an "inspirational trip" each year. "We hire well and keep the good people here for a long time," one employee said. Barkley is all about the wellness perks, offering employees free produce and on-site boot camp and yoga classes. But for when staffers are feeling less virtuous, there's also a daily happy hour and free ice cream. Employees say they like the trusting and flexible attitude at Barkley. "If I need—or just want—to work from home for a day, it is not a big deal," one employee said. "We are treated like adults, not managed like children." Employees at this digital creative agency say they like company events such as ice-skating trips and the annual outing to the Belmont race track. The company also offers an additional three weeks vacation after five, seven and 10 years. One employee was especially attached to the learn-and-grow culture. Firstborn "pays for and encourages me to learn and develop new skills," the employee said. "The company future-proofs me." Experiential-marketing firm Engine Shop Agency likes to think of itself as "young and fresh." Most of its employees are millennials, and they're encouraged to move around the office with office-issued MacBook Airs to find the best environment to work in. "You can feel things humming, and you get the feeling that you're part of the ground floor to what this company will become," one employee said. Perks include surprise days off and happy hours.